Jonathan Wegener, the CEO of Timehop, the photo app that once showed immense signs of promise, has announced that he is leaving the company. He is leaving Timehop to beginning working at Snapchat, where he will be on the product team. Both Wegener and Snap, Inc. confirmed this hire to be true. As Snap is preparing to go public later this year, Wegener’s timing could prove to be very lucrative. It’s likely that, because he is there before the IPO, his stock should be worth a decent amount. 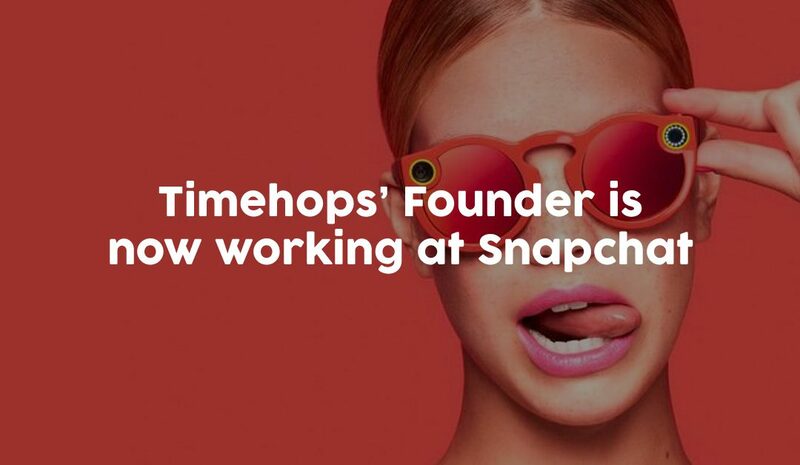 Timehop, that company co-founded by Wegener in 2011, was an app that discovered your old social media posts. It would tell you what happened on that current day in your life, but on a previous year. It was a fun way to remind yourself of previous moments in your life and with friends. Timehop raised over $14 million from investors such as Spark Capital and Shasta Ventures. But, in March 2015, it became clear that Timehop’s days were numbered. Its days became numbered because Facebook introduced a feature called “On this Day” which essentially did what Timehop does, but directly on the Facebook website. Wegener, has publicly displayed his affinity for Snapchat for some time. After Snapchat released its Spectacles camera, he wrote a post where he praised the messaging app company.